One of my popular session posts this year was for country music singer Jason Aldean and his wife Brittany. I didn’t know they were coming in as someone else booked their session for them under her name. What a surprise!! I didn’t announce my famous little client’s pictures on my Instagram page, but he already had some very loyal fans who put two and two together and shared them on their Memphis Aldean fan page on Instagram When fans of that page saw the pictures on my page, they liked them there too! Therefore, two of my most popular pictures from 2017 were of adorable baby Memphis. The middle picture is obviously not my from my newborn and baby photography work. My little Lexi does some acting/ modeling and like any mom, I often take pictures of her!! I don’t typically post her pictures on my business page, but this one was special as she and her modeling buddy (Oscar) were featured in Child Model Magazine. We were so excited to have them featured and plan on doing some more modeling work together in the coming months. It’s so nice to have these pictures of my baby as she grows! Are you looking for an experienced, specially trained and award-winning newborn photographer in the Brentwood, Franklin and Nashville, TN area? Laura Janicek Photography specializes in newborn portraiture as well as maternity and baby’s first year portraits; serving the greater Nashville area including Brentwood, TN, Franklin, TN, Murfreesboro, Hendersonville, Clarksville, Spring Hill, Dickson, Smyrna, Nolensville, Hendersonville and more with a full service studio location in Brentwood, TN. 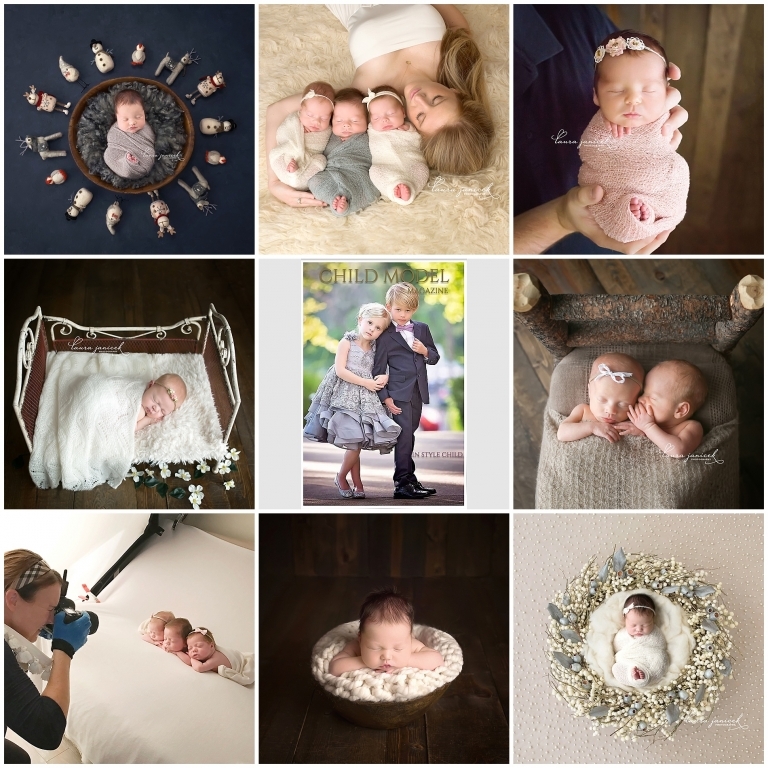 Laura earned an ‘Excellence in Newborn Photography’ award from NewbornPhotographers.com, as well as a merit award from the National Association of Professional Child Photographers. Laura Janicek Photography is proud and honored to be named as one of Nashville’s Best Newborn Photographers and one of Nashville’s Best Maternity photographers by Expertise.com.